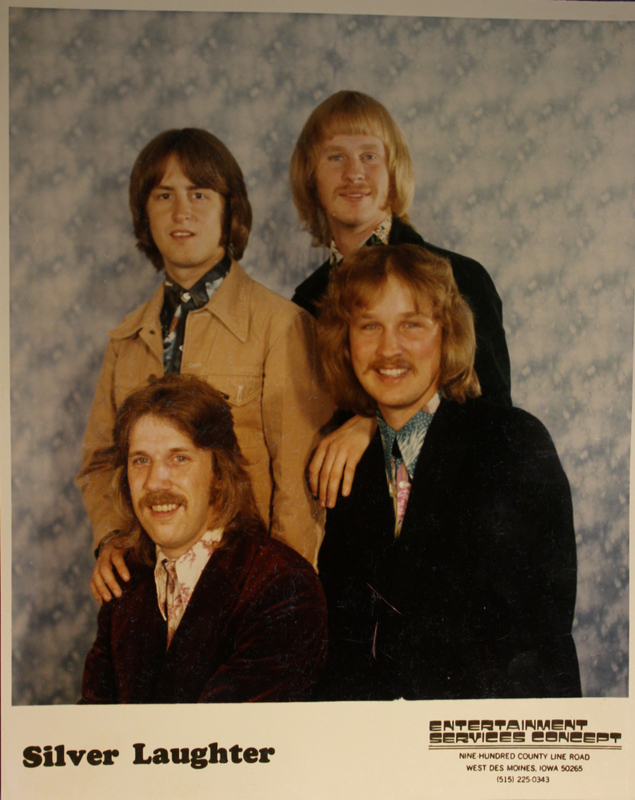 This is one of the first pictures taken of the band after Ken joined us. Again, it was taken by John Ludtke Sr. in the Ludtke’s living room. Clockwise from the top are: Mick Orton, Kim Ludtke, Jon Ludtke (lower right) and Ken Wiles (lower left). It wasn’t long after this that we started working on our first album, “Handle With Care”. Note: So far today, we have had visitors from the US, Mexico and Viet Nam! ‹ Promo Photo Outtake of Silver Laughter ca. 197?